Corgi pros and cons - helloBARK! Fact Checked This article was fact checked by one of our writers on November 14, 2018. Corgis are very smart dogs, which isn’t a surprise given the role they played on the farm when it came to herding animals. These dogs can be trained as long as the lessons are consistent and frequent. Their intelligence is a positive unless your Corgi is lacking stimulation. If these diminutive dogs become bored, they can become destructive and loud. Given the Corgi is accustomed to taking instruction from humans, understandably the breed make good companion dogs. They are really eager to please their owners, which is a very endearing trait. The fact that the dogs are very food driven makes them all the easier to train. Corgis tend to do very well with other dogs given they are loving and caring pets. They love to chase other dogs around in the dog park and have tonnes of energy to make them a real live wire. Be prepared for your Corgi to follow you around the house, effectively becoming your shadow. Given their small size, they are perfect for a household with more than one dog. 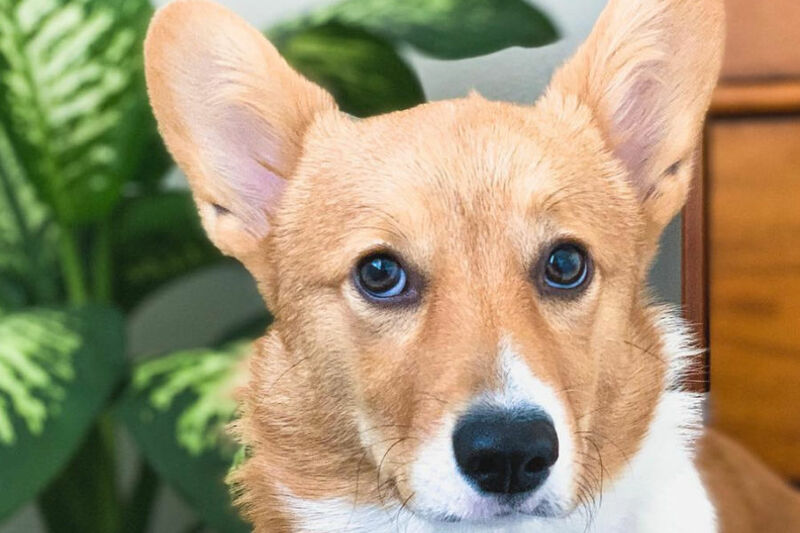 One part of a Corgi’s anatomy has proven a hit on social media: their butts. 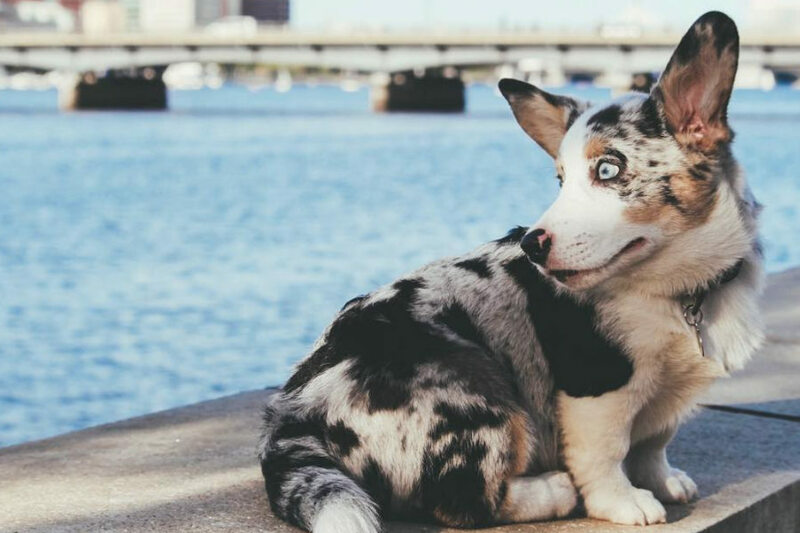 They have become a phenomenon on Instagram with their own trending hashtag, #corgibutts. Welsh Corgis tend to have fluffy bottoms that recreate the shape of a heart. If nothing else, their posteriors will provide plenty of amusing moments. These dogs are very small, which make them very charming and cuddly. However, Corgis are often called mini German Shepards. Why? Their personality, ears, muzzle and coat are all very similar to the larger breed. So if you can’t have a German Shepherd due to limited room in your apartment or house, perhaps a Corgi is the perfect compromise for you! Queen Elizabeth II has helped to make these cute little dogs very popular. The British monarch was given her first Corgi on her 18th birthday. Remarkably, the Queen has had 30 of these fluffy little doggies throughout her life and has even bred Corgis. This includes breeding Corgis and Dachshunds together. However, her final Corgi called Willow died at the age of 14 in 2018. One misconception about Corgis as small dogs is that they don’t need a lot of exercise. This is simply untrue. Given Corgis were used on the farm as herding dogs, the breed have a lot of energy to expend. They are not lap dogs and aren’t designed to sit around all day long napping. This could be a negative for prospective owners who think they are getting a low maintenance dog. However, on a positive note, if you are willing to put the effort in, your Corgi can help you to get the best out of life and stay much more active. Be prepared for lots of hair: these dogs shed a lot. This is one potential headache for owners of the breed. This includes both the Pembroke Welsh Corgi and Cardigan Welsh Corgi. They tend to shed their summer and winter coats, so there are two times during the year when these dogs require a lot of grooming. However, they do shed moderately throughout the year so their coat requires a lot of maintaining. If you own a Corgi, prepare to do a lot of brushing and frequent vacuuming. The Corgi can be quite a vocal dog. As mentioned above, a Corgi can become quite loud if they are not getting enough exercise or stimulation. They are alert dogs and will pick up on strange unfamiliar noises. Therefore, Corgis can make good watch dogs but if you want a guard dog, then perhaps a German Shepherd would be a better option. It is easy for a Corgi to become overweight if they are not getting enough exercise. Their long frame makes them candidates for hip dysplasia or back problems such as intervertebral disc disease. As a result, ensuring your Corgi gets a lot of exercise and remains in good shape can help to avoid potential health conditions such as IDD. You have to be prepared to dedicate a lot of time in these dogs to take them on regular walks, trips to the park and of course, lots of play time at home. A Corgi could be problematic in a household with other small pets. It is important to remember these dogs are herding dogs. As a result, the breed can chase and even attack small animals given their historic instincts. While it obviously depends on each individual dog, it is something to consider before you bring a Corgi to their forever home. As we mentioned above, Corgis are very smart dogs. This is a positive but can also be a negative. They require consistent and firm training to avoid a Corgi running the household. The breed do have a reputation for being stubborn dogs. However, if you start training at an early age and make sure the message is consistent, your Corgi will learn quickly. – The Corgi gets its name from the Welsh language, with their name translating directly as “dwarf dog”. The breed started in Wales, although their conflicting reports about how Corgis came to find their way to the country. 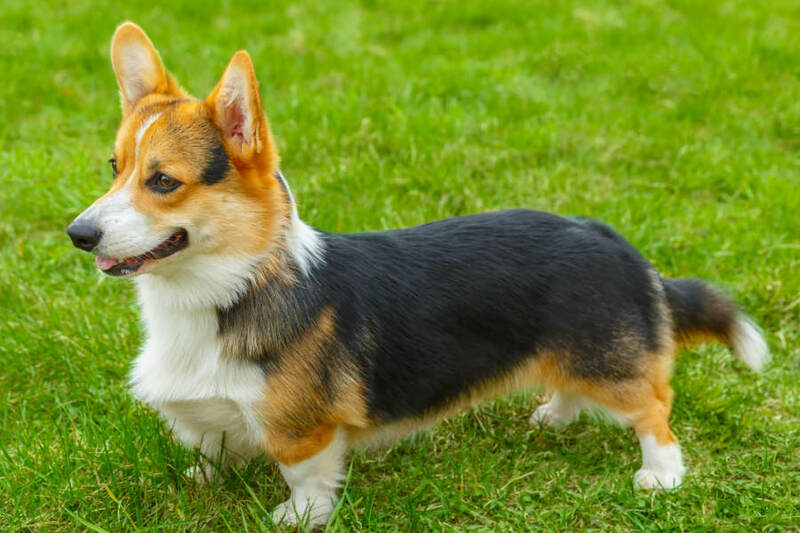 – There are two different variations of Corgi: The Pembroke Welsh Corgi and the Cardigan Welsh Corgi. The main difference between the two is the Pembrokes don’t have tails, while Cardigans have long, bushy tails like a fox. – The average lifespan of both the Cardigan and Pembroke Welsh Corgi is between 12 and 14 years. However, a healthy Corgi can live in excess of 15 years. – Queen Elizabeth II is the most famous Corgi owner but there a number of other celebrities who share a love for these cuddly little dogs. American author Stephen King became a Corgi owner in 2015 and he hasn’t looked back after falling in love with his pup Willow. 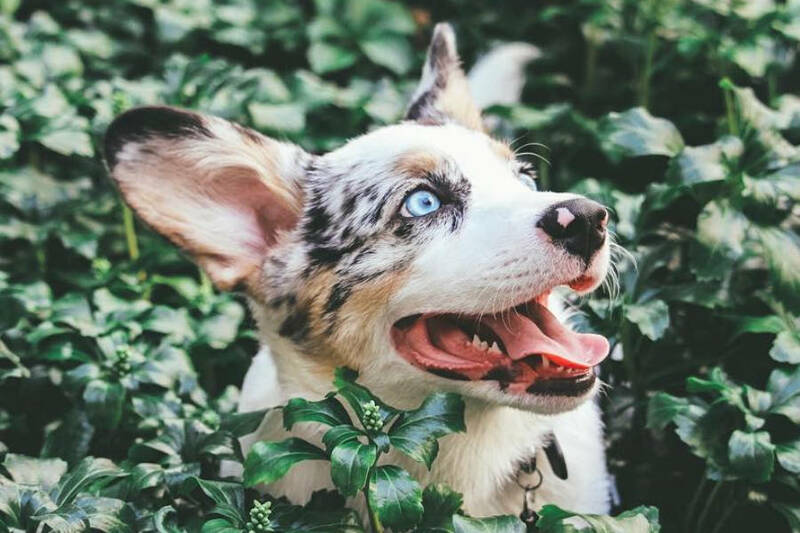 @benjithebluecorgi: Some advice for potential Corgi owners that I would give is to just love your dog like you would a child because that’s basically what they are. Corgis are very smart and are able to learn things very fast but can be very stubborn as well. Don’t let this discourage you. As with any dog, training requires time, dedication, and consistency. I would also advise potential corgi owners to definitely do their research on the breed, especially if it is their first dog. Benji is my first dog ever and I did a lot of research before actually getting him. The more you know, the more prepared you are for anything. @lynnyskynny_thecorgi: My advice would be to have patience. Corgis are naturally intelligent breeds, so they will catch on to training in their own time. They’re such a loving and cuddly breed, so I’d highly recommend getting a corgi as a companion.